That manifold is a work of art....no wonder they cross sectioned it to show it off! I'm guessing that this car has more than 5 gears to choose from and that they are close ratio gears, so that they can keep the engine in the higher rpm range. I'm also going to guess that they have variable valve timing over the entire rpm range, to help the port velocity and cylinder filling efficiency....otherwise this thing would be really lame on the bottom end and through the midrange. "Let's trade some low and mid range torque for horsepower on the top end, because we have lots of gears that are really close together to compensate." We can throw in some variable cam timing to make up some of the losses, but we will never get back to what the engine would do with a smaller port and runners. Greg, this intake is similar to the boss 302 intake and the ford GT, sure its more refined but the shapes and sizes are close. 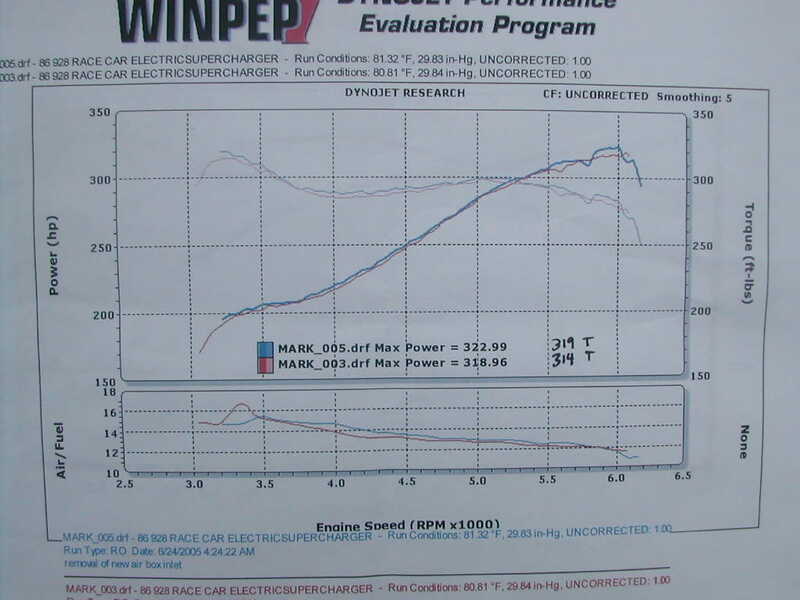 the Vantage has a 6 speed manual, but as you can see from the HP curve, it has a HP curve no different than mark andersons when he did the intake mod as well. NO DIFFERENT. sure, do closer gears work better? absolutely. But, it would be a welcome adder to a stock S4, without a doubt. keeps the RPM from 5500 to 7500rpm. not a huge differecce and you can see the average HP that results. bottom line, its not much of a trade off. the intake will help our cars in a HUGE way. if optimized as you will probably do, im sure it will be even better. as a note. 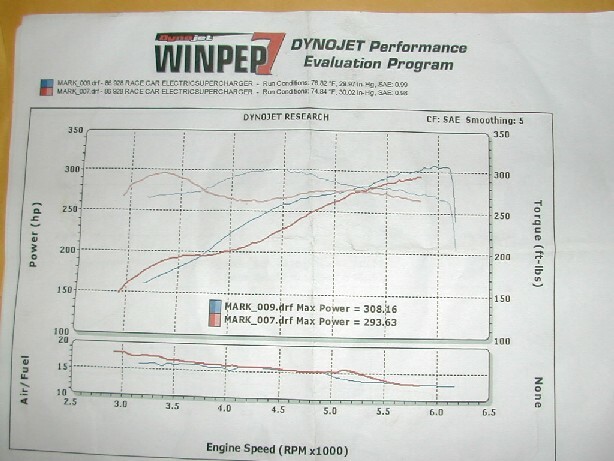 I have shown two dyno runs.... one with the flappy not working on the original cams, and the new 85 cams before I had the timing set. 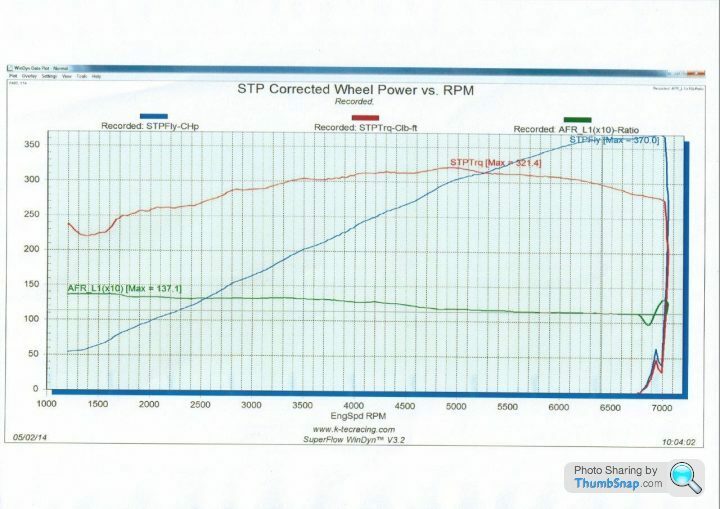 this shows the S4 intake and resonance advantages to mid range torque. no, im just quoting what has been available for our cars and others and giving a wide range of price ranges that it would be reasonable to buy it for. 3-4 K doesn't sound reasonable? yes its a guess on my side, but it also is a price point im acceptable with. call it "market research" Jim! Gezzzz!! you don't think there is anyway to adapt an existing work of art to our cars? "....will commission..". There is no "will". Either you do or do not, everything else is BS. Put the money behind it. You and Mongo and the "bouncing off ideas". It's easy to bounce off ideas when you have no idea what you are talking about. Even worse when the ideas comes from some " internet research". Fn' bench racing. I'm guessing that this car has more than 5 gears to choose from and that through the midrange. Greg... quick reality check.... even with our wider gears, the intake desgn of the vantage is A HUGE gain for us, if we can mimic results . In FACT, the shape of the curves are near identical... might even favor the vantage. the vantage peak hp of the vantage is 20% greater than the S4... with the S4 gears, its average would be 25% greater than the S4 engine. proves that the intake is even BETTER regardless of the gears! EDIT: surpringly Greg, the gear spacing for the Vantage is actualy wider until you get to 4th gear.. 4th 5th and 6th are .8 apart. but 1-2-3rd gear are almost the same as the 928... there goes that theory! Last edited by mark kibort; 03-10-2016 at 02:01 PM. can I put a pillow over your face? seriously, you are that barking little dog in the hand bag! Yes, I will put up the cash.. greg and I have to hug it out first. I don't think he wants to build one for me... could be wrong... but I have NO problem with greg. he takes the bantering too seriously here. we see eye to eye on much more than just clutch adjustment and oiling issues! Let's get something clear in this thread. I am in no means an 'expert' on intake manifolds. However, I do have numerous books at home I used to learn about manifold designs when I was doing my ITB project for the 944. You need to have a grasp of the concept and the whole purpose one intake is designed in order to meet the proper respiration requirements of the engine. Yes I am tossing around ideas with Mark, but I do know that THIS WILL NOT BE A CHEAP INTAKE MANIFOLD IF DONE RIGHT. However, price ranges of $2500-$4000 would just be ridiculous for a production manifold that would be better spent on cams, injectors and Sharktuning.... or in my case, that figure is my 4L60E swap I want to do with 3.90 gears. On a side note, there have been some tuners out there who have designed their own sheet metal intake manifolds that have made more power than the factory manifolds. I'm not saying that a 'sheet' manifold is the solution to gains on this car, but if you don't know what you're doing, you can easily reverse course the opposite way, losing 50HP rather than wanting to gain it. Porsche knew what they were doing when designing the 928. Some have had better luck designing intakes for it, and some just said 'screw it', slap a blower on, and problem solved. I'm really excited by what they've got cooking, they're a great team to make it happen. You can like the look, but how will it function on a 928? Design is CRUCIAL. I think we are on to something with Carls intake .. it only needs a box.. heck, we might even be able to use the entire lower TB and MAF areas with air box, if we mount that to a plennum that fits carls air box.... think about that one for a second. you take the stock bottom of the 928 S4 intake. its pretty good. big diameters, decent throttle body and the maf is right there. to mount to the stock air box..... makes this a bolt on affair.... THEN, you take Carls box'es and mate them to it. sure the short runners will not be optimal, but im sure it would be a HUGE improvement. If it's functional, screw looks. We aren't dating supermodels now are we. I'm guessing that this car has more than 5 gears to choose from and that they are close ratio gears, so that they can keep the engine in the higher rpm range. "Let's trade some low and mid range torque for horsepower on the top end, because we have lots of gears that are really close together to compensate." So, think of the vantage and look at the possiblities for the 928. the vantage actually had wider spaced gears til 3rd gear. PLUS, look at the HP torque crurve. from redline to 70% of redline (post shift in a 928) the VAntage has 81% of its HP. the porsche 928 for the same % drop in RPM, has 78%. its better than the much larger 928 engine. sure, much of the lower end gains could be due to variable valve timing. but dont forget we are talking a stroker (89mm) engine with 86mm pistons. any intake would be a blessing for the 928, even one made from sheet metal. you cant get any worse that we have with the S4 intake. However, there are things that are good about it. i do like the MAF, and Throttle body with the lower "U" area feeding the plennum with two large openings. Im thinking we need to bolt something to that..... Carl? can you fab something up to your runners and plennum design?? I agree.. can you post a picture of this Salsbury 4850D? ?